Dr Milagros Ruiz and Professor Meena Kumari have compiled the CLOSER biomarker catalogue, a collection of all the biomarker measures available across the CLOSER studies. Meena argues that they provide a wealth of evidence that, until now, has been difficult to access by longitudinal researchers. Biomarkers can – and should – play a vital role in social science research. Biomarkers are measures taken from biological samples including blood, saliva and urine (the sweat and tears were our own), such as cholesterol levels and cortisol, the measure that captures the biological response to stress. Many of the studies with CLOSER have collected these samples over the years and as such they provide a rich resource for socio-biological research over time. They offer a clear advantage to researchers: as biological measures that do not rely on a persons’ recall, biomarkers can provide an objective snapshot of an individual’s health. For example, in addition to asking a study participant whether or not they feel stressed, we can assess that biologically and compare the two responses. Biomarkers can show us population level changes in health and wellbeing and allow researchers to examine the associations between the social environment and biology. Typically, studies that have good measures of the social environment tend to have measures of health that are not very detailed. And conversely, studies that have detailed measures of health often do not have good measures of the social environment. However, many of the eight studies in CLOSER provide both measures of the social environment and have measure a variety of biomarkers which give a detailed assessment of health. To help researchers make better use of these data we reviewed all the biomarkers available in the CLOSER studies. 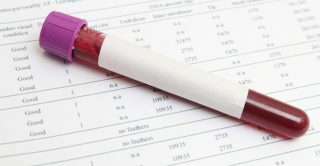 Some of the biomarkers, such as cholesterol, are routinely collected and used in healthcare, but others are not routinely sampled. In all, there are over 50 biomarkers in the CLOSER studies that have been measured in more than one study. The number of studies in the CLOSER collection, and the number of biomarkers within these studies, made the project a challenging one. Some of the biomarkers are not routinely measured and the samples are processed by different laboratories across the studies. We were initially concerned that this might impact on the measurements. But as we worked our way through the studies we were reassured to see how similar the biomarkers look across the varying studies. The catalogue contains the 50+ biomarkers that have been measured in more than one study. We’ve described the data for each biomarker, what it measures and show the average values of each biomarker in each study. We also show how the biomarker varies by age in each study, allowing users to understand how the values in each dataset compare to each other. For users who are new to using biomarkers, we’ve provided guidance on the things they need to consider if they want to analyse the data. The biomarkers are publicly available and accessible once data protocols have been completed. Collating the catalogue was a monumental effort, but we hope that the new catalogue is an asset to the longitudinal research community and encourages new and exciting work. Researchers will now be able to see more clearly what measures are available and where they are able to examine associations between the social and the biological. We’re looking forward to seeing what new research the catalogue inspires.